Chris Price has convened the Poetry and Creative Nonfiction stream of the MA in Creative Writing since 2009, having previously taught the IIML's undergraduate Poetry workshop (2004-2009) and a course on Creative Writing in the Marketplace. Her supervision interests are in poetry and creative non-fiction, and she has worked with Helen Heath, Chris Tse, Tayi Tibble and Sam Duckor-Jones (poetry) and Ashleigh Young, Helena Wiśniewska-Brow and Pip Desmond (creative nonfiction) among others. Chris is a past editor of the literary journal Landfall, has worked in publishing, and was for many years coordinator of the New Zealand International Arts Festival's Writers and Readers Week. She holds an MA in Languages and Literature from Auckland University and an MA in Creative Writing from Victoria University. Her first book of poems, Husk, was published by Auckland University Press (AUP) in 2002 and won the Montana Best First Book of Poetry award. Her second book, Brief Lives (AUP, 2006) inhabits a territory where fiction, biography, prose poetry and essay meet and overlap. It was shortlisted in the biography category of the 2007 Montana New Zealand Book Awards. In 2005 she was part of the Are Angels Ok? anthology project, which paired ten New Zealand writers and scientists to mark the International Year of Physics. In 2008 Chris Price was Auckland University Writer in Residence at the Michael King Writers' Centre, and in 2009 she published another poetry collection, The Blind Singer (AUP). 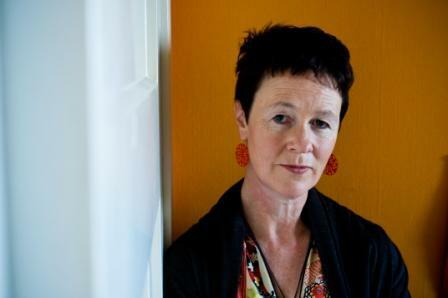 Chris was awarded the 2011 Katherine Mansfield Fellowship, and in 2012 she took part in the Transit of Venus Poetry Exchange, in which three German and three New Zealand poets wrote about the experience of viewing the Transit from Tolaga Bay on New Zealand's East Coast, then translated each others' work at Berlin's literaturwerkstatt, before presenting it at the Frankfurt Book Fair as part of New Zealand's 2012 Guest of Honour programme. Transit of Venus / Venustransit was published by Victoria University Press in February 2016. In 2015 she was awarded a residency at the Château Lavigny, Switzerland, and her essay 'The Lobster’s Tail' was longlisted for the Notting Hill Essay Prize. A new collection, Beside Herself, was published by AUP in March 2016, and longlisted for the 2017 Ockham New Zealand Book Awards. Alongside Emily Perkins, she edited and contributed an essay to The Fuse Box: Essays on Writing from Victoria's International Institute of Modern Letters (Victoria University Press, 2017). In 2017 Chris and Emily also co-edited on a New Zealand literature feature in the Austrian journal, Lichtungen, and Chris edited, with Harvard Professor of Poetry Stephanie Burt and Professor Paul Millar from the University of Canterbury, a NZ issue of the leading US literary journal Poetry (February 2018). Chris is working towards the completion of a biographical work about the 'lost Romantic' poet Thomas Lovell Beddoes.